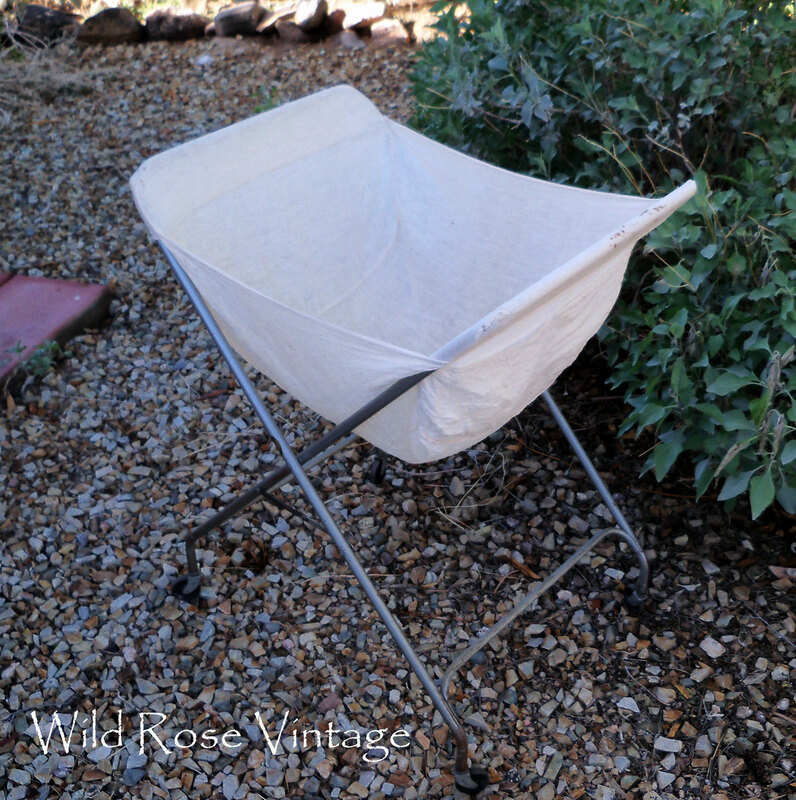 I about fell over when I saw this vintage laundry basket/cart. It's in such good condition and still has the original cotton clothes holder. None of his stuff is marked so I held my breath and asked...he said $10! I've seen these sell on Etsy and Ebay for $65 on up! We had one when I was little and I always thought it was so cool. It disappeared later on but I found the cart only about 20 years ago at a garage sale but didn't buy it. I always regretted that. Now they are so popular and sooo expensive. I'm so happy to have found one at a decent price. Since this has the original cloth 'basket' which is in good shape except for a stain on the edge (no holes, tears or rot), I think I'll use the original as a pattern and make a pretty floral 'basket'. Maybe I'll find some vintage or vintage looking fabric...or maybe some old pillow ticking in pink and white. If you click on the image you can see it a lot better. 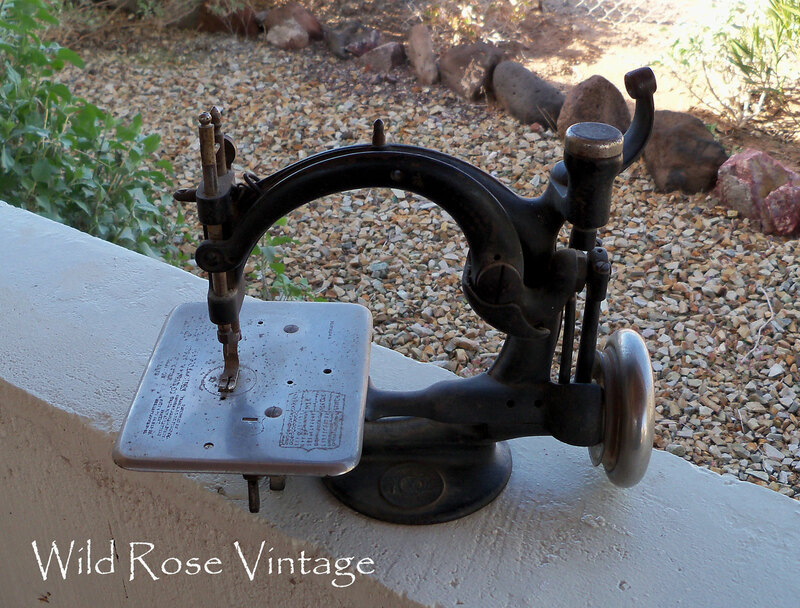 Then I saw this old sewing machine, it's a Wilcox Gibbs and looks good other than being pretty dusty. He said $20 on that so I went for it. I've sewn all my life and I've always wanted to collect vintage sewing machines like this but again, the price has gotten so high. One can never have too many old tool boxes. $3 to $5 each. One is a tackle box. I recently saw a pin on Pinterest where they put brackets under a red box like this and used it as a flower planter...will do that with these someday. An old twin bed size bed spring for $5!!!! This will be my Sweet Pea trellis! I have more but will save them for next week...by then I hope to have an additional internet service to use. I've had a glitch in this one since Dec. 23rd. What great finds! That's one awesome junk store. Sorry about your computer. Hope all is back to normal soon. Oh my, what great finds!! I love the sewing machine!!! I love that little darling sewing machine and the laundry cart is great and useful too. I gotta ask, where in AZ were you? I live in AZ. Love the little sewing machine. Sorry about the broadband usage problems! sweet stuff you picked up ! I adore that laundry bin..wow cool ! are you going to ebay it? Happy wow day ! These are wonderful treasures Faye! I LOVE the laundry cart, Faye!!! Hope you are up and running soon! You found a lot of neat stuff while hunting. You had a GREAT day thrifting!! I love the laundry basket and those tool/tackle boxes!! I LOVE those! I have a favorite shop I love to go to also and they are SO reasonable on everything!! Ok...so since I am in AZ don't you want to share with me where is this thrift shop. I haven't found a good one yet! I love, love, love the sewing machine. Great finds. I'm a new follower! Love all of your "new" stuff! 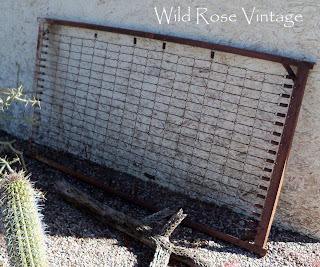 I like the trellis idea and I am going to have to steal that one. I'll put the word out for one of the springs. I do not have a laundry basket like that, but I did snag, and this was years ago, for $45 a mail cart in great condition with all the markings. I love it. I use it for everything. 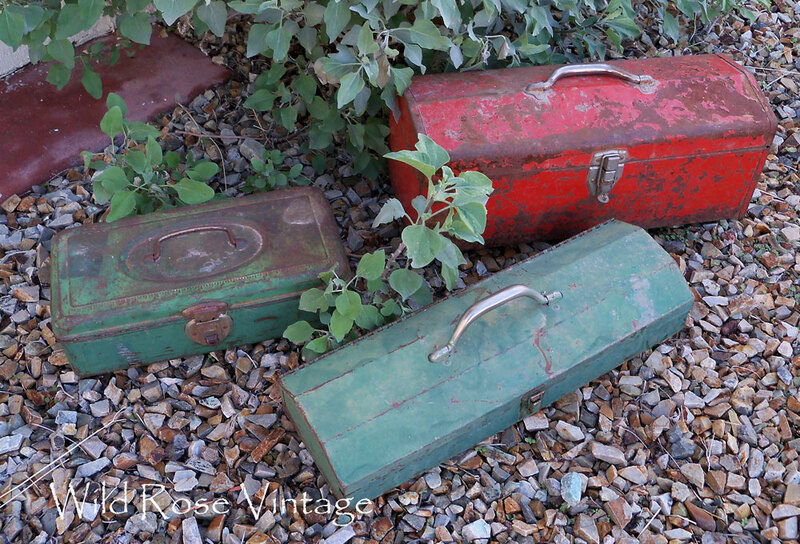 I also like the idea of the tool box flower box. Need to look for one of those, too. You are just full on inspiration for me today! Glad you got your new internet service- hope it works well for you! OMGosh to die for stuff! You did so good and I love it all. That trellis could go in the house with photos etc but I would love it outside too! 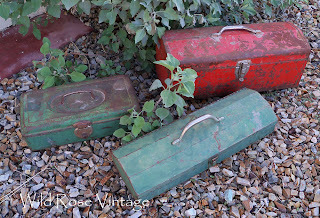 Fantastic finds especially the tool boxes. What great new "old" treasures you found! What a fab sewing machine! Thank you for sharing this lovely post at Potpourri Friday! Great idea for the bed spring! love the idea with the tool boxes. might also make a cute display on a wall. just thought of that myself. yay!! will try it in my gift shop.